Beach Ball Elgol Elgol, Skye, Scotland. 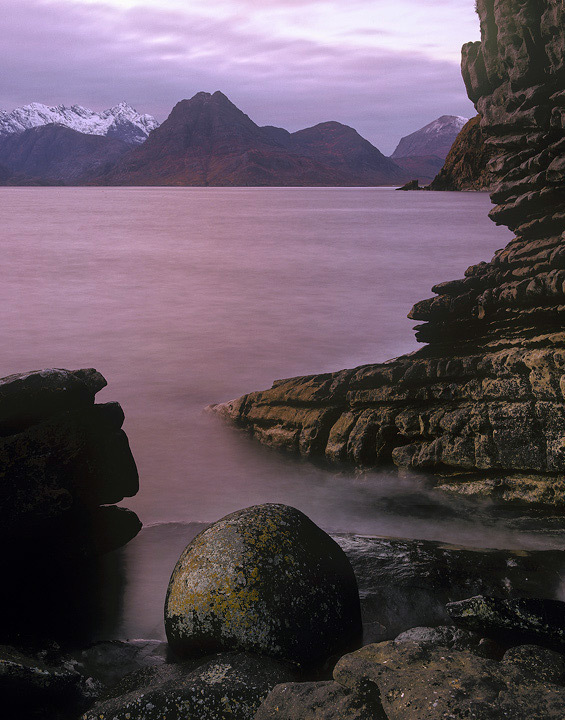 A circular boulder made famous by Joe Cornish, its primary strength comes from the fact that every other rock around there is anything but spherical and smooth. No doubt some will view it as plagiarism, frankly I care not, if its beautiful and the light is spectacular only a fool would ignore it. On this occasion the sky was washed pink by a recently set sun and the soft light proved extremely good for revealing hidden shadow detail.